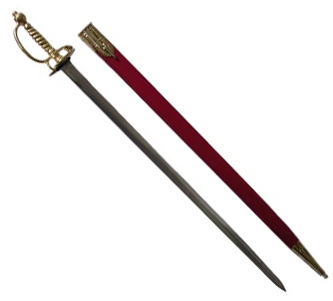 This sword appeared in France about 1657. It was used to dispatch wounded game. The military, attracted by its interesting style, adopted it. 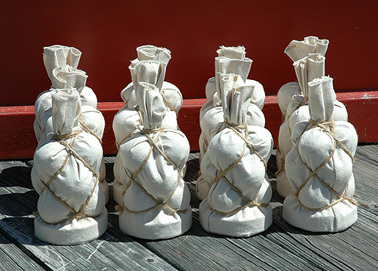 Officers on both sides wore it during the Revolutionary War. 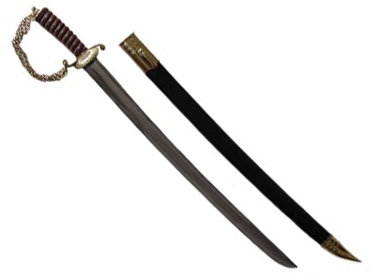 The hilt is a double chain with round links; the guard has the early clam shell motif so often seen on these swords. Grips are polished horn or rosewood with twisted wire in the spiraled grooves. There is a running fox etched into the 25" blade, the trademark of the British sword maker Samuel Harvey. Because of the size of the clam shell, we can date this sword to be circa 1740. 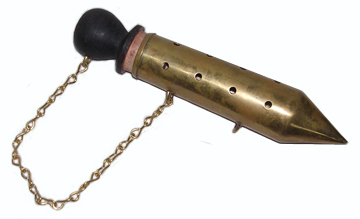 Brass hardware with rosewood grip. Incredible service and product, thank you for your assistance in getting this item shipped quickly and the excellent customer service. The sword is PERFECT for my husband and his impression, his whole face lit up when he opened it! We're couldn't wait until Christmas to open it!!! I wish I could give more than 5 stars!